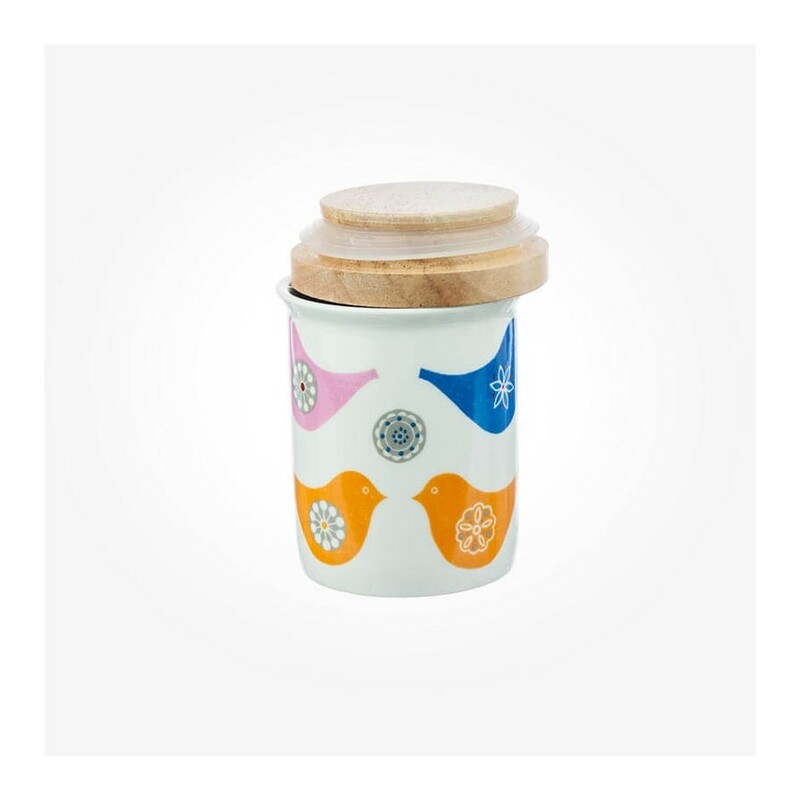 This stylish spice Airtight jar with the wooden lid on white porcelain. 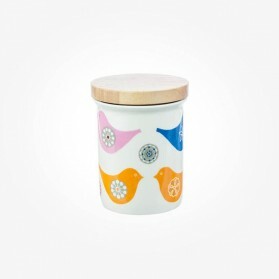 This gorgeous Jar is made of high-quality Fine Porcelain and has an airtight lid with a rubber seal. 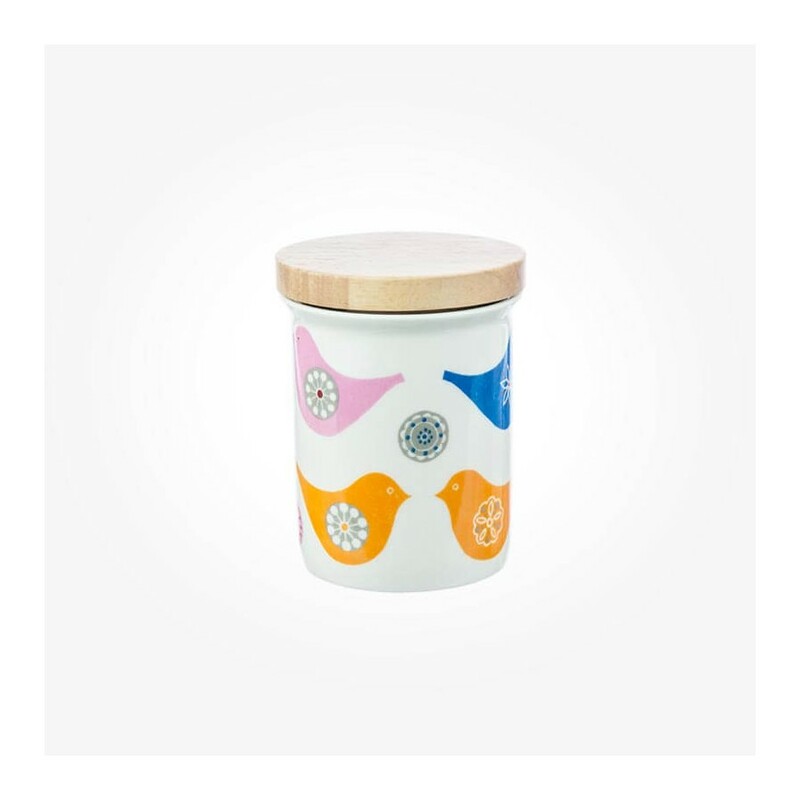 The item is suitable for storage at any place home. 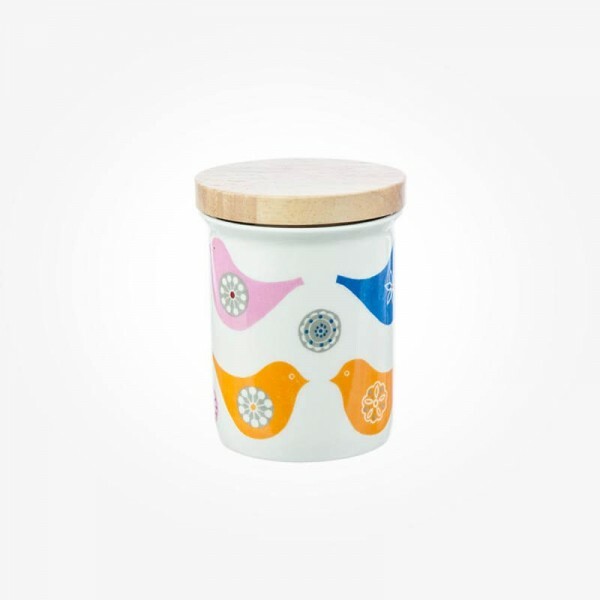 The Love Birds assorted pattern on a white background of porcelain gives you a contemporary feel inspired by Scandinavian designs of the 1970’s with fabulous contrasting colours and modern detailing.